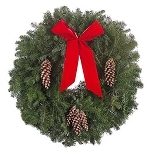 Choose from our selection of fresh, handmade holiday wreaths with red velvet bows, pinecones and berries. Add your personalized gift message and relax while we do the rest. 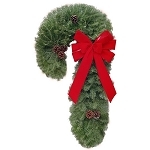 All wreaths include free delivery and a free wreath hanger. Ordering online is easy, and you can create an account to track your orders and save them for future years. 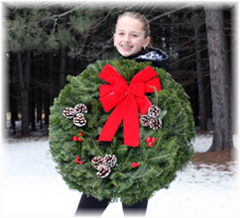 Merry Christmas from Stone Family Wreath Company!